Today is Leap Day! If you were born today, you can get by with saying you’re one-fourth of your actual age. Imagine how handy that will be when ordering off the kids menu! Of course, you might have some problems getting into that R-rated movie. * No year that is divisible by 100 can be a leap year unless it can be divided by 400. The year 2000 was a leap year the year 1900 was not. * Leap year babies born in the year 1884 did not celebrate a single birthday on their actual birth date throughout entire teen age years. February 29th fell on the year they turned 12 and then not again until they turned 20. * In 1288, Queen Margret of Scotland ordered that any man who was proposed to on Leap Year’s Day and refused the proposal could be fined either a kiss, a silk dress or a pair of gloves that were to be given to the rejected woman. So a woman who was extremely unpopular could fund her entire wardrobe by proposing to a lot of men she knew would refuse her. * Astrologers believe that anyone being born on February 29th has unusual talents and personalities befitting of their special birthday. * Anthony, Texas is the self proclaimed leap year capital of the world. Every year this little town that sits on the border of New Mexico holds a festival and leap year birthday celebrations complete with a carnival and hot air balloon rides. People come from all over the world to celebrate their special birthday in style. * There are approximately four million people in the world who were born on February 29th. Famous Leapers born on this day include bandleader Jimmy Dorsey, singer Dinah Shore, actor Dennis Farina and motivational speaker Tony Robbins. Now, go wow your friends at the Leap Year party. You do throw Leap Year parties, don’t you? When cyber bullying is mentioned people, often think of teenagers on the internet. Well, it goes far beyond teenagers playing around on the internet. Cyber bullying has become a hidden evil that sick, weak-minded people use to exert power, fear, and control over someone. For quite some time I have been following on Facebook a Native American Elder, who is terminally ill and is spending his last days leaving messages that he is receiving from Spirit. We have become good friends and speak on the telephone. I have never seen such courage and commitment to help others as this man has given during his short time left on this planet. Every day I look forward to going to his page and reading the messages he is receiving from Spirit. The visions he is receiving are far reaching into the future, and I do believe the messages he is channeling are coming directly from the Divine Spirit. His health is fading fast, and he only has a brief moment left to his life. A few weeks ago people started attacking him on his page and accusing him of being a liar about being terminally ill. I know how sick this man is because he has written his diagnosis to me, and I have spoken to him. They also started attacking him about his visions and his Native American heritage. This has stressed him beyond what he can take, and he has removed himself from Facebook. This is a sad loss to the thousands that followed him daily. I called him the other day to see how he was doing, and he was struggling to talk, but he was so confused as to why he was targeted for such attacks. I told him the ones who attacked him are nothing and they have to exert their power over someone, so, of course, they pick on the weakest. I said prayers with him and we hung up the phone. Often when you are dying, your mind becomes confused, and this beautiful brother has managed to stay focused despite being on heavy narcotics for the pain that he is in. I admire him tremendously. 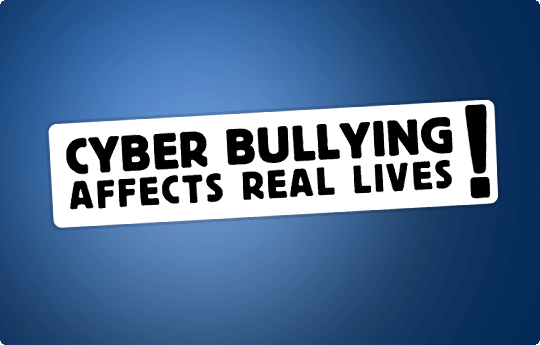 Cyber bullying does not just hurt someone’s feelings; it is also attacking someone’s spirit. Spiritual attacks are very real because of the negative energies that dwell in many people’s soul. We are spirits inhabiting our bodies, and when something attacks us personally, it goes down to the very core of our existence. “Why is that?” asked the professor. Good point — she would be way too old. But really, beauty is a peculiar thing; it changes with perspectives and means something different to everyone. The beauty that should be most notable is authentic beauty. Authentic beauty is something deep within — the real you. It is the YOU that is being rediscovered with each new experience; the YOU that is so vividly reflected in those precious few who love us with all their heart. For inside, you are more beautiful than you may ever know. It would be a waste to never realize that. An elderly woman noticed that her granddaughter felt embarrassed by her freckles. “I love your freckles,” she said, kneeling beside the girl and admiring her face. “Not me,” the child replied. She knew about beauty. Do not close your eyes to the beauty that exists within you! When the boy finished reading what his mother had written, there were big tears in his eyes, and he looked straight at his mother and said,”Mom, I sure do love you.” And then he took the pen and in great big letters he wrote: “PAID IN FULL”. Advice: IF your mom is alive and close to you give her a big kiss and ask her for forgiveness. If she is far away, call her. If she passed away, pray and talk with her. Mardi Gras is February 21st this year, and with it comes music, parades, krewes, beads, and celebration! You can find a mask or create a costume and head to New Orleans, or you can look for splashes of the holiday to show up in towns like yours. It’s a big celebration, but what is it exactly and how did the whole thing get started? The “Fat Tuesday” gala started a long time ago, actually way back in 1857. Mardi Gras marks the last day of the Carnival season, a period of rich feasting and frivolity which follows Epiphany and is the day before Ash Wednesday when Lent begins. It’s a floating holiday and the date of Mardi Gras varies slightly because it must fall 47 days before Easter Sunday. •	Mardi Gras celebrations have their origins in the ancient Roman festival, Lupercalia. It is considered the last great indulgence before the 40-day fasting period of Lent. •	Mardi Gras migrated to the United States by way of many French influences, including French explorer Pierre le Moyne d’Iberville in the Louisiana territory in 1699. 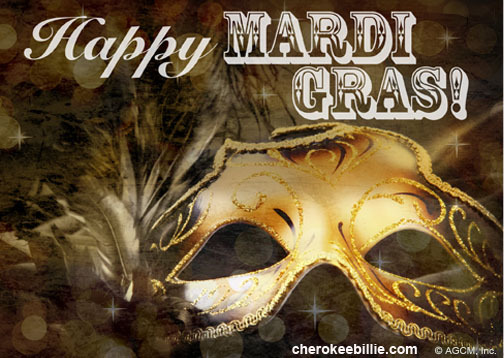 •	The first Mardi Gras parade in the United States was in 1837. •	The official colors of Mardi Gras: green (faith), purple justice), and gold (power). •	Krewe: a non-profit organization or club participating in a parade. •	The first “throw” (beads or small trinkets) happened in 1871 when a krewe member dressed up as Santa Claus and tossed gifts to parade revelers. So, how are you going to celebrate Mardi Gras? Try making a famous King Cake, decorating fun masks, or throw a party!